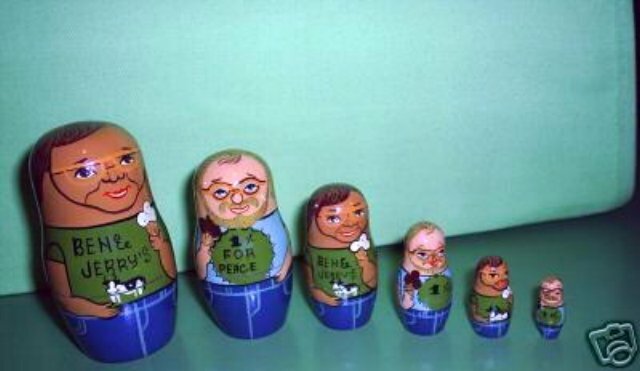 An adorable set of Ben & Jerry's nesting dolls. They were made as an advertising piece to celebrate the opening of the factory and scoop shops in Karelia, Russia. Ben and Jerry contracted with Karelain Craftspeople to make these great wooden Ben & Jerry's Matrushka nesting dolls. The tallest doll is 3 3/4" and they are in perfect condition.